During the summer months, children typically spend more time playing outdoors and embarking on exciting adventures away from home. 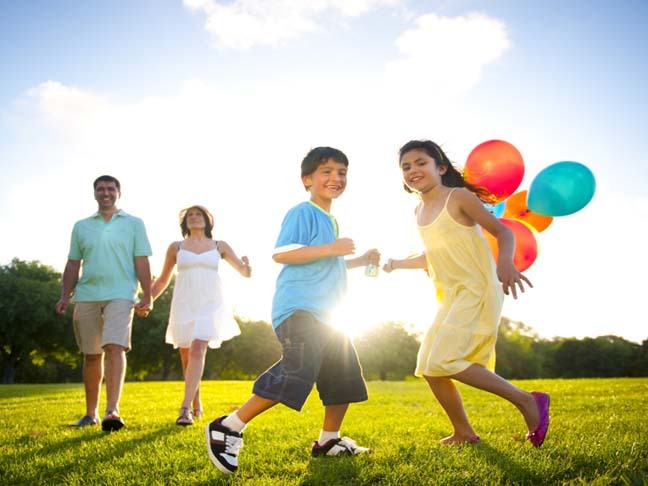 While the summer provides an opportunity for family fun, it also provides an opportunity for injuries and accidents. Fortunately, from sunburns to amputations, most summer injuries are preventable. As you enjoy the summer months, be sure you aren’t committing one of these 5 summer sins. Having a false sense of security when it comes to kids being in and around water. With swim lessons, water wings, noodles and other flotation devices, parents often develop a false sense of security when it comes to their young children being in and around water. Sadly, children can drown in just inches of water. A 2011 study published by the American Academy of Pediatrics cited that 1 child drowns every 5 days during the summer months. Most of these children are under the age of 5 and most drown in their own backyards. Practicing touch supervision, being always within an arm’s reach away from your child when in the water, can be the difference between life and death. Leaving their children unattended in cars. In 2011, at least 33 children died of heat stroke as a result of being left in a motor vehicle, according to a study published in Pediatrics. Even when the temperature is 70 degrees Fahrenheit, temperatures in a vehicle can reach life-threatening temperatures quickly. In just ten minutes, the car temperature can rise almost 20 degrees, even with the car windows cracked. Resist the urge to run into the store without your child, doing so could result in a tragedy. Not using enough sunscreen. For sunscreen to be most effective it must be applied generously and it must be applied prior to heading outdoors. After a child swims, sweats or towels off, sunscreen should be reapplied. Sunburns not only cause serious pain, but can increase the likelihood of getting cancer. As a rule of thumb, sunscreen should be replied every two hours, as it begins to wear off after that. Allowing children to go without sunglasses. The same damaging sunrays that damage the skin can damage the eyes. UV rays can cause sunburn of the eye, eye pain, blurred vision, temporary blindness and cataracts. Protecting your child’s eyes is essential. The ideal pair of sunglasses will fit your child properly, be tinted and offer 99-100% UV protection. Polycarbonate lenses are typically best for children as they are the most shatter resistant. For children who won’t keep on traditional sunglasses, opt for a style that has a wrap around strap. Companies like BabyBanz have complete lines of sunglasses especially designed for children. Letting kids help mow the lawn. According to the Amputee Coalition of America, lawn mower accidents are the leading cause of amputations in children under 10. Many parents enjoy letting their children ride with them while mowing the lawn or help push the electric of gas mower, but doing so can result in serious injury. Whether operating the lawn mower, riding on it, or watching a parent do the mowing, in a study of 144 lawn mower injuries, 85% of injuries to children under 14 could have been prevented if the children were not permitted around lawn mowers, according to a report published in the Journal of Pediatric Orthopedics. As you enjoy your summer months, be sure to avoid these common safety mistakes parents make. Doing so can help ensure you have a healthy and happy summer.